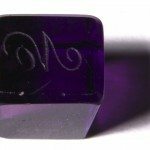 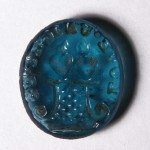 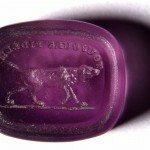 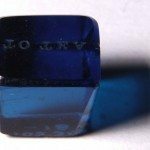 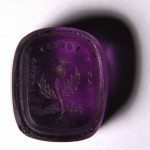 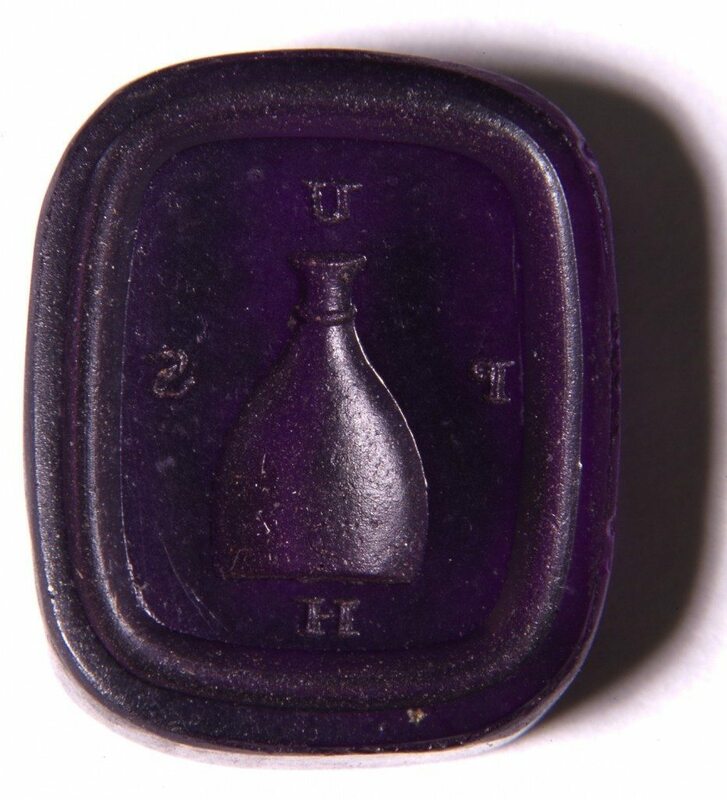 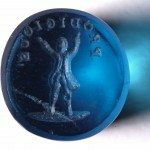 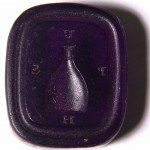 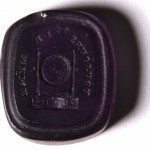 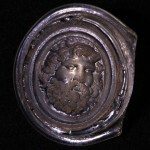 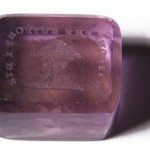 A rectangular seal matrix of purple glass, bearing a design of a signet and the inscription ‘PUSH’, which refers to the action of making an imprint with the signet. 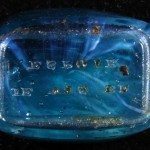 This matrix was created in 1770. 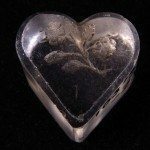 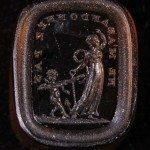 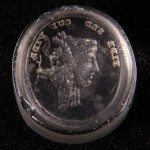 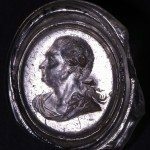 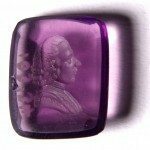 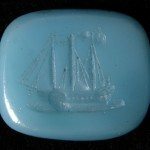 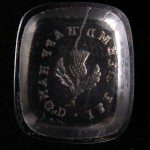 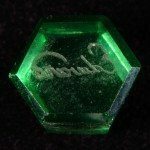 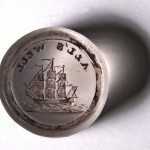 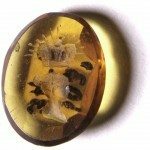 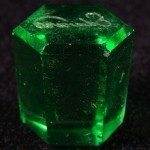 Seal matrices also known as signet matrices were used to impress their owner’s mark into wax on documents during the eighteenth and nineteenth centuries. 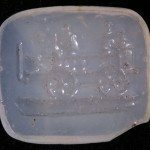 Many were made of moulded translucent glass. 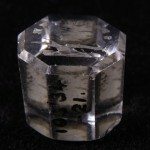 Little is known of their manufacture. 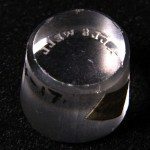 They seem to have been produced for personal rather than commercial use. 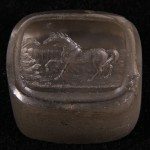 Birmingham Museums & Art Gallery acquired a collection of twenty-seven seal matrices in 1934. 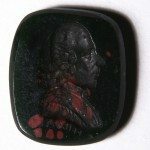 This is one of the items.